Chandigarh: It was in 1997 that the proposal to launch monorail in Union Territory was mooted. Now after 21 years, the administration is planning to revive the project after shelving the idea of metro train. Local MP Kirron Kher and UT adviser Parimal Rai had a meeting with Swiss Transport Company Intamin at the UT Secretariat in Sector 9 last week. The Swiss company shared presentation on monorail. The Union government in 2006 had rejected the Chandigarh monorail project, instead had asked to explore metro rail project. Senior UT official on the other hand shared that monorail will cost about Rs 2,500 crore. He added that metro rail would have cost Rs13,600 crore. 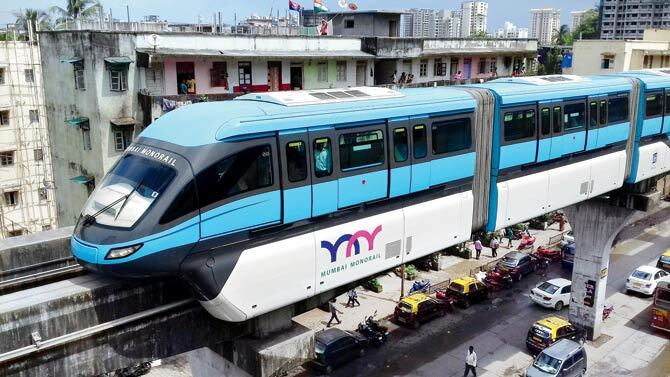 Monorail will be connecting Chandigarh with Panchkula and Mohali. The project will not require digging up the city unlike the case for metro project. The UT official stated that they only had a meeting with the Swiss Company and that they have not finalised anything. For Metro project the official said that the project largely remains on paper as it will not be feasible to carry it out in the city. It would be tough to identify 200 acres of land and cost of setting up metro is also exorbitant. French company Systra MVA is also in race to work towards offering urban mobility solutions. As per its proposal, there should be four means of transport. These are: light rail transit (LRT), bus rapid transit, modern tram, and monorail systems for three corridors. In 2017, home minister Rajnath Singh has made it official that metro project was not a viable option for Chandigarh. He has asked the authorities to explore other options. It is now that monorail project is gaining momentum.